The cottage is surrounded by woodland, parkland and fields and there is excellent walking, birdwatching & fishing from the door. As the tide ebbs you may see egrets, herons, curlews and even the occasional seal or spoonbill right outside. Local shops, restaurants, cafes and pubs are 1 mile (2km) away. 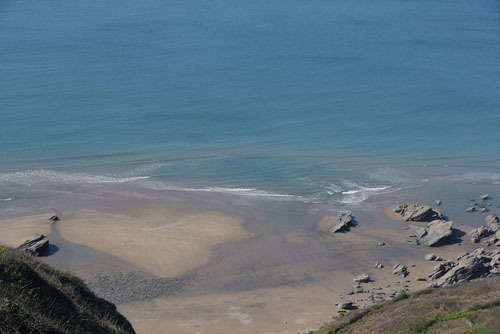 Sandy beaches & the sea are within 2 miles (4km) for paddling & picnics or surfing & stand up paddle boarding. At Cremyll, a mile (2km) away, there's a passenger ferry into Plymouth (rail and bus stations) & the SW Coast path. There are river boat trips and fishing boat charters. Mount Edgcumbe house and free entry to its grade 1 listed garden and national camellia collection is 1/2 mile (1km) - a Rosamunde Pilcher story was filmed here for German TV. Port Eliot & Antony House and woodland garden are also close by. There are wonderful views over the water from the spacious sitting room/diner and from the large, comfortable bedroom. In front of the cottage there is a pretty slate & cobble terrace with table and chairs to enjoy the evening sun by the water's edge. The bedroom has a superking size zip-link bed (which can be either a 6ft double or separate 3ft twin beds). The well equipped kitchen has an electric cooker with double oven, microwave, dishwasher & fridge/freezer. The smart bathroom has a bath with overbath shower. There's a smart TV with internet access & Netflix & DVD in the sitting room and a TV/DVD in the bedroom. There is an mp3 player, a CD player & free wifi. There is a utility room with washing machine & dryer & there's also a small outside store with a drying area & barbecue. There is parking on the quiet road outside the cottage. 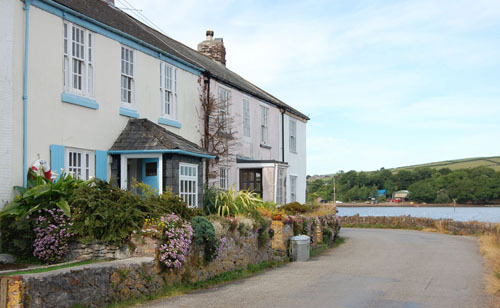 Weir Cottage is a no smoking property and does not take children under 16 or pets. 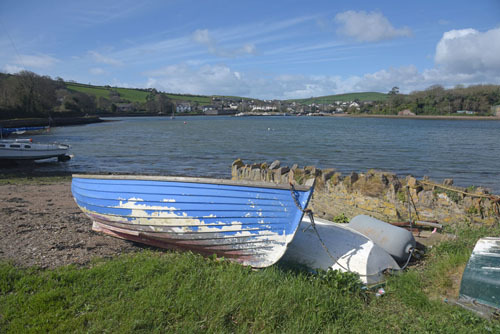 If you surf or dive, you may have heard of Whitsand Bay, a two mile long sandy beach which is ten minutes away, past the lovely old fishing villages of Kingsand and Cawsand. If you are attending a wedding or party at Polhawn Fort, it is tucked into the corner of Whitsand Bay.